We’re pleased to announce that Animal Friends Insurance is now actively promoting our national cat survey in support of our on-going research. Animal Friends are one of the UK’s leading pet insurance specialists providing cover for domestic cats, dogs and horses. As always, you can continue to help us by posting links to the two versions of survey on Facebook and Twitter! 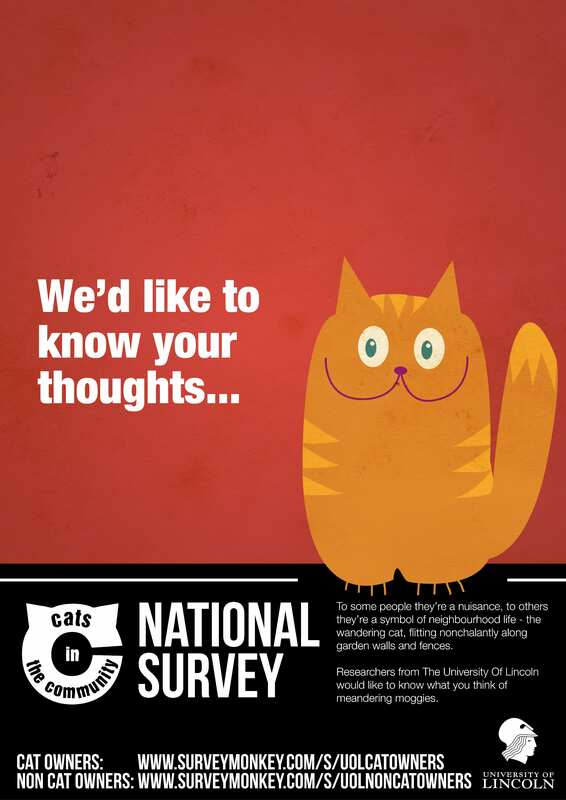 Various outlets have covered the release of the National Cat Survey, here are some of the links! We’ve also had active involvement from organisations and groups on social media as well as appearing on BBC Lincolnshire to discuss the survey. And here are the links again! Hello there! My name is Kevin Mahon and I’m a PhD student at the UNiversity of Lincoln. My background is in Zoology and Animal Behaviour. I got my BSc (Hons) at NUI Galway in Ireland and a Masters of Research from the University of Glasgow. My project, which is to be carried out in parallel with Naima, has two main aspects. The first aim is to determine the behavioural shifts, and welfare implications for cats that are contained. I will be using techniques such as passive avoidance to determine important factors like motivaiton in the cats that are being contained. In addition to this, through the use of surveying, I aim to qualify and quantify the perceived risks to cats that wander from home as well as gauge opinion amongst both cat owners and non cat owners on a variety of topics, ranging from problems associated with wandering cats going into other properties to attitudes towards the containment of animals in general. This survey will be online and a link will be available on this site! Another part of my project is a qualitative analysis of attiudes to wandering cats; specifically comparing owner and non-owner responses through thematic analysis. The aspect of the prohect is being conducted alongside a fellow PhD student in the School of Social Sciences. This is being done through semi-structured informal interviews with volunteers. 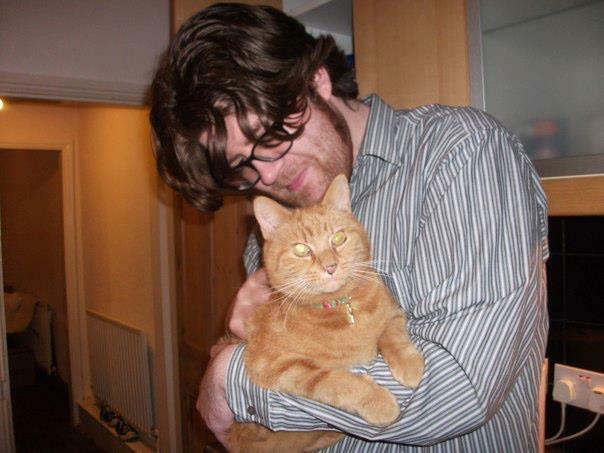 Welcome to the ‘Cats in the Community‘ research site! Here you will find updates, comments and blogs regarding our ongoing work here at the University of Lincoln as well as news and links to the latest happenings in cat welfare research.